Abhijeet Narvekar and Dhimant Desai have started a new venture called The FerVID Group. Throughout their careers, the two industrial engineers/managers have always had a passion for improving process efficiency. We have now put thought into action with The FerVID Group – a company whose core value proposition revolves around using symbiotic relationships & technology to improve process efficiency and effectiveness in the field of Human Resourcing. 1. Significantly reducing the time it takes to hire a high quality individual using our unique and proprietary method -The FerVID Way. But we need YOU to succeed! has the same career path goals which would lead to a solid long-term working relationship? Our experience has been anywhere from three-to-six months! How much time do you spend preparing and coming up with pertinent/probing interview questions? NOW multiply that by the number of members in your team who will also interview a potential candidate! That’s a lot of TIME - Time that is being diverted from you and your team’s core functions – something you can’t afford in this environment where performance expectations are high and resources tight! We believe “The FerVID Way” is an innovative process which will cut your “time to hire” considerably while simultaneously enhancing the quality and “fit” of your candidate pool. Let us give you an innovative edge over your competition! Send us your resume. 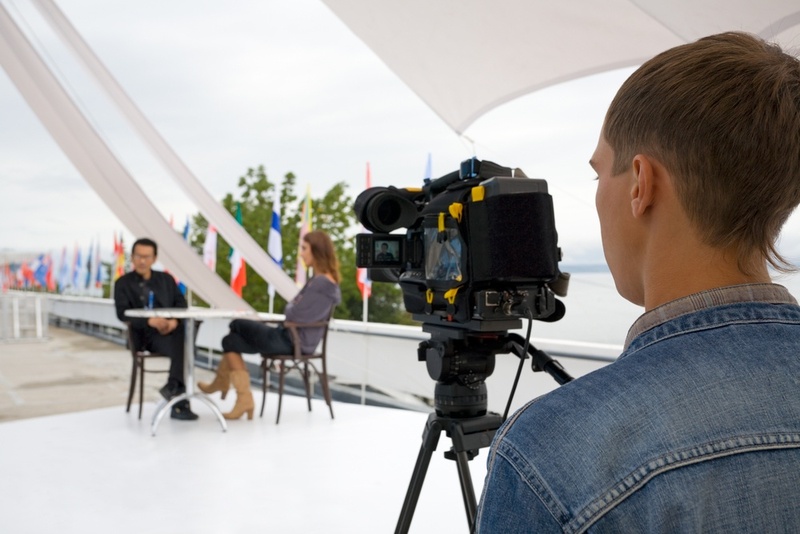 Once we shortlist you, we will call you in for a LIVE interview in our professional video studio. Come in as you would for a regular interview - our questions, asked by an industry expert, range from technical to situational. The environment is relaxed which will help you present at your best. We will create a secure and confidential profile page– where we showcase you to hiring management. We are interested in working with you! In today’s market it’s all about symbiotic relationships & networks, it’s all about PEOPLE WORKING TOGETHER! We will provide you with innovative tools to enhance credibility and visibility with your clients. We are actively expanding our 'expert network' in various industries and would love to invite you to work with us. We would like you to capitalize on your expertise, assisting clients with interviewing, consulting or mentoring opportunities. Call us to discuss details on how we can work together. Please contact us to visualize our work and discuss how we can work together. Unleash the potential of this innovative solution at your firm – contact us to recruit the best! Please visit us at www.thefervidgroup.com for more information.